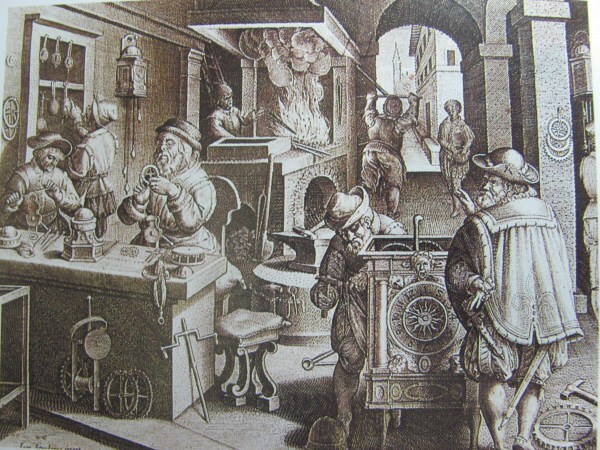 This class will include a lecture and images on how clock mechanisms are designed and built, including the influence of the blacksmith in early clocks and tools. We will cover the evolution of escapements from foliot to pendulum to balance wheel. How sources of power influence the mechanism with weights springs fusee and Geneva stops. We will do the math of gear ratios and tooth profiles. There will be a look into time trains, chime trains, and strike trains and how they work together. We will look at how early clocks were hand-built, then the first machines built by blacksmiths that clockmakers used. This will be a 2 to 3 hour class with lots of close up looks at different clocks and much room for questions and inspiration. Bring: Pen/pencil, notepad and maybe a calculator.